A D.C.-area bakery said Saturday that President Trump’s inaugural committee asked it to “re-create” the cake that was made for Barack Obama‘s 2013 inauguration. The explanation came after Food Network star Duff Goldman, who prepared the cake four years ago, pointed out Friday that he did not make another cake for Trump’s inauguration. “The cake on the left is the one I made for President Obama’s inauguration 4 years ago. 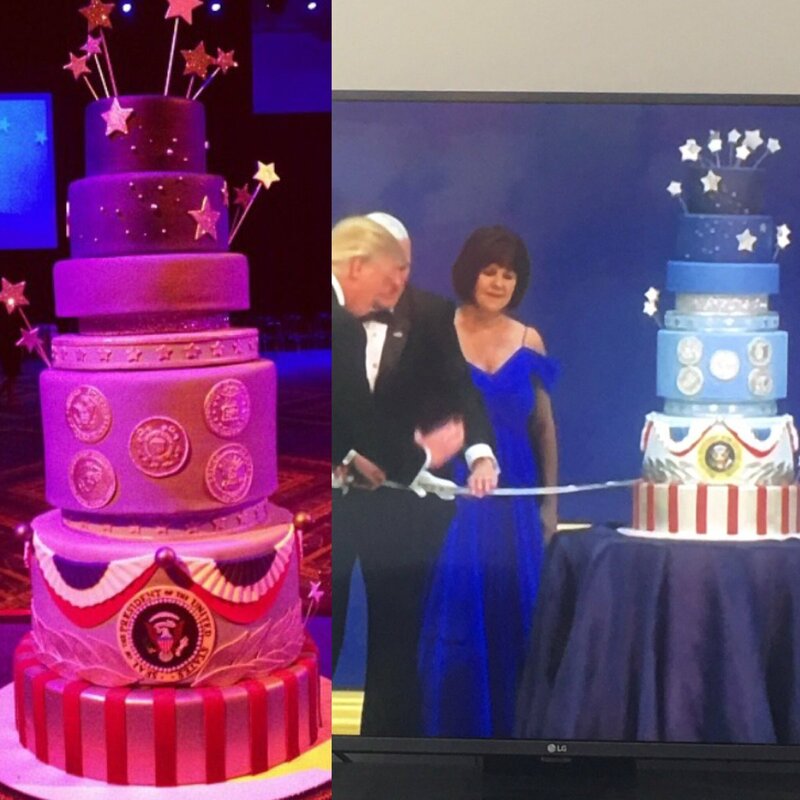 The one on the right is Trumps,” Goldman tweeted, along with a picture of both cakes. “I didn’t make it,” he added. This entry was posted in Art, Food, Liars, Politics by brobrubel. Bookmark the permalink.